Hi. I’m originally from Queensland, Australia where I was a Civil Designer for 7 years before moving to Manchester in 2017. My experience is predominantly in highways and public realm redevelopment, and I have a keen interest in SuDS design and urban rejuvenation. I joined Civic Engineers in 2018 after being impressed by the company’s ethos on sustainability, diversity and culture. Outside of work I enjoy baking, creating and ukulele-ing. I’m also an avid traveller and hope to see as much of the UK and Europe as I can. 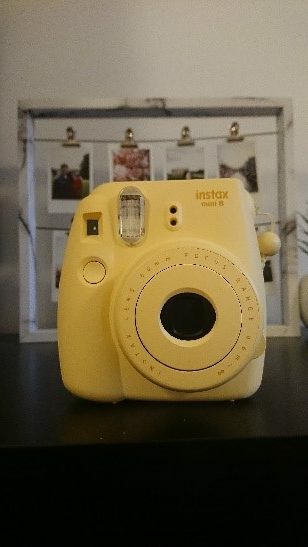 I love filming and photographing all my travel adventures and my Polaroid camera is very dear to me. Today we can take hundreds of photos in a matter of minutes, only to fret over picking the ‘perfect one’ to upload to social media. With Polaroid cameras you get one, sometimes imperfect shot, that is just for you in that moment.